WITH CHRISTMAS JUMPERS exploding in popularity in recent years, we’ve mostly forgotten that they used to be considered ‘ugly’. Here’s a reminder. 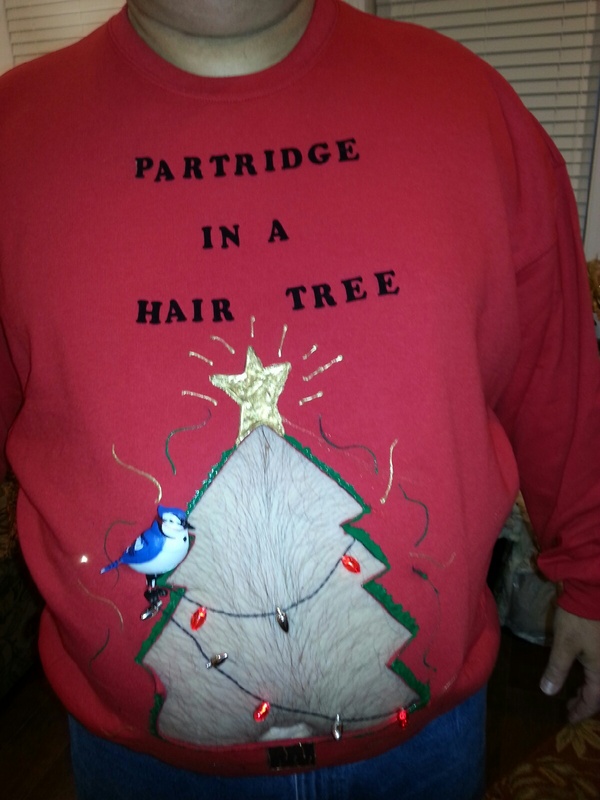 Mom sent me this photo of my step father’s entry into an ugly sweater competition. Shut it all down, because this man has won. Sweet lord. If you’ve seen an uglier one, please alert us to it – but we really don’t think you can top this. Email “Feast your eyes on the ugliest Christmas jumper of all time”. Feedback on “Feast your eyes on the ugliest Christmas jumper of all time”.